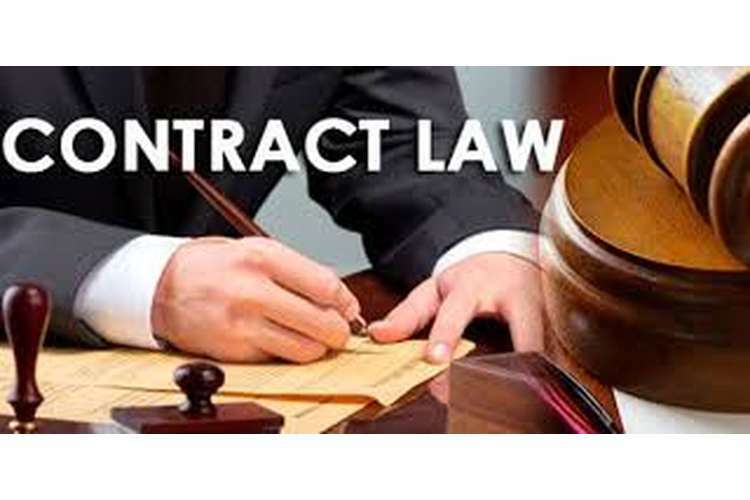 The law of contract includes the legal rights, duties and legal obligations of the parties who have entered into a contract, which makes it legally binding. The contract law originated from laissez-faire philosophy. Under the concept of laissez-faire philosophy any person can enter into a contract with each other whenever they feel with minimum intervention of the government. Thus, the parties entering into a contract must clarifyeverything between them beforehand. The three main elements which make a contract legally binding are ‘offer’, ‘acceptance’ and ‘consideration’. However, at times even these three elements are present a contract fails to become valid. There are several reasons which lead to this situation. It is the responsibility of the advertising and media operators to direct its customers in the correct path. They must be very careful about the products and services while advertising for their clients. The advertising and media people must be conscious about the requirements under Australian Contract Law for minimising any risk that may lead to breach of law. If any company uses media as a vehicle for promoting their misleading messages then, the media is not liable for breach of law(Lindsay, 2004). But if the media operators endorse any misleading messages, they may be held liable for breach of law. An investment company approached the media claiming that they have a successful model for investment which they expect to share with the public. The media took responsibility of promoting this model and induce investors to invest. The media went on to make fancy claims related to this program of investment model on behalf of the company, which later turned out to be false. The investment company and the media company were held liable for breach of Trade Practices Act, 1974 (which is now ACL)(Wright, 2006). In this case, ‘Modern Electronics’is responsible for making true statements in regards to the product they are advertising for. The magazine company must take due care of the interests of their customers. While advertising for any product they must ensure that they themselves conduct a check upon the claims that the company is making. They cannot opt to promote fancy claims on behalf of the company (i.e. Entertainment Imports Ltd. in this case) without investigating the validity of the claims. In this case Modern Electronics has allowed Entertainment Imports Ltd to advertise in their magazine and make claims about the products which are not true and can deceive an innocent customer.But they have not promoted the products offered by Entertainment Imports Ltd., however they have only allowed the company to advertise their claim in the magazine, for which the magazine company has been paid. Hence, Entertainment Imports Ltd has used Modern Electronics as a vehicle for promoting their misleading message. In the given case, Entertainment Imports Ltd has advertised in Modern Electronics about their newly arrived product, ‘headsets’, which they guarantee should deliver improved sound quality by upto 50% compared to the ones existing in the market. They also claimed special promotional prices(Gibson and Fraser, 2001). However, when the headsets were bought they did not match the criteria mentioned in the advertisement and were of very poor quality. Moreover, the colour of the headphone delivered did not match the one decided while contracting. Even the salesperson did not disclose the limitation of the headsets, that these can only be used with LCD televisions. any sort of exclusions available on goods or services. It matters even if the advertisement made by the company is misleading, such as quotations or statements that create misleading impression in the minds of the customers regarding price, quality and value of the goods. If the company commits such activities then they are liable for breaching Australian Contract Law. Thus, by guaranteeing sound quality of the headsets Entertainment Imports Ltd is bound to maintain the same and the quality must actually distinguish their products from the ones available in the market commonly. However, this is not the case. When a supplier is guaranteeing quality of their products while selling them by a salesperson or while advertising; must comply with the same(Review of Section 2D of the Trade Practices Act 1974, 2002). For example, suppose a company willing to sell handbags, advertises in a brochure mentioning ‘softest leather’ which in fact turns out to be softest vinyl. This does not match the description provided in the advertisement neither does it satisfy the guarantee. In this case, when the salesperson is contacted for placing order on the products that their company has advertised in the magazine, accepted the order placed. In order to move on with the order Entertainment Imports Ltd entered into a contract for an order of 1000 units of headsets which needs to be delivered in July. The colour of the headsets decided upon were 500 units of white colour headsets and 500 units of black colour headsets and the total price will be $10,000, which needs to be paid on delivery, as per the company policies(Willmott, Christensen and Butler, 2005). The first page of the contract included the units of goods ordered, date of delivery and price to be paid “on delivery”; which they have received prior to collection of the consignment, as per the case. Entertainment Imports Ltd, although have received payment for their consignment says it did not comply with the method mentioned in the contract according to which payment needs to be made “on delivery”. But the contract did not clearly mention the way in which they deliver the consignment and several other requirements such as method of payment, etc. After the product was received it was found not to comply with the one decided upon while entering into the contract such as, the colour of the headsets, quality of the headsets and its limitations. neither the salesperson nor the contract mentionedthat the consignment must be collected from loading dock of Entertainment Imports Ltd.
As per Sec 18 of ACL, any person involved in the business of trade and commerce must not engage in activities which are misleading and deceptive, or a conduct which is likely to mislead or deceit. Once it is proved that the plaintiffhas been misled or deceived, the court will judge whether the defendant followed misleading or deceptive conduct. The court finds out whether any other person, being in the position of the plaintiff, will believe the same, and if the individual gets misled then it becomes clear that Sec 18 has been breached. “Taco Company of Australia Inc v Taco Bell Pty Ltd  ATPR 40-303”. If it is proven that the contract entered into with Entertainment Imports Ltd has been misleading and deceptive, the party who has suffered damage or loss due to such conduct can claim for compensatory damages. The one deceived can bring this to the attention of Australian Competition and Consumer Commission or the TAS Office of Consumer Affair and Fair Trading on the grounds that he has been misled by claims made by the company in advertisement. Not reading a contract and signing it is a ‘mistake’ out of negligence. Apart from reasons such as, the person is suffering from disability or is not educated enough to understand the contract can claim for not exercising the contract. The other case may be ‘non est factum’, where the signatory mistakenly signs a written document considering it to be something different other than the contract, through which they can claim defence to contractual liability. If the case is something different from these, where the signatory is aware of what he is signing and does not bother to read the policies of the contract falls under the rule of L’Estrange, according to which the party signing the contract is bound by the terms of the contract. “Toll (FGCT) v Alphapharm Pty Ltd (2004)”. As per this case law, a person who signs a contract has either read the contract or approved the contents of the same, has willingness to be bound by the contract. The exception to this clause is that, a signature if obtained through misrepresentation or fraud will not be binding or where none of the parties are aware that the document signed is a contractor the document is a voucher, receipt or timesheets(Cherednychenko, 2006). In this case, the contract signed was not read properly, hence the contract becomes legally binding, and however it was found that the advertisement of Entertainment Imports Ltd was a sales puff and the commitments made by the salesperson were misleading and deceptive. On the other hand Entertainment Imports Ltd has failed to abide by the requirements of the buyer which were decided upon while entering into the contract. Prohibition of misleading and deceptive practices is mentioned under Sec 18 of Australian Consumer Law. Again as per Sec 29(g) a person should not be making any misleading representation with regards to the supply of goods claiming they have certain “performance characteristics.....uses or benefits”. As per Section 33 should not engage in such activities for which they become liable to mislead individuals about the “nature” of their goods, “characteristics” of the goods and “suitability”. According to Sec 18, a person has complete right to claim for the compensatory damages or cancel the contractif the person has been misled while entering into a contract(Cherednychenko, 2006). The salesperson made a false statement that the buyer has not paid for the headsets “on delivery” as mentioned under the contract, whereas Entertainment Imports Ltd has banked the cheque issued in full amount by the buyer. Moreover, the colour of the headsets and limitations of the headsets were not notified to the buyer beforehand. The salesperson has made fraudulent misrepresentation about the facts related to the headsets. In this case, Entertainment Imports Ltd has breached the contract by misleading and deceiving the buyer while making him purchase the products. Therefore, the buyer has all the right to claim for compensatory damages or cancel the contract. The report highlights on misleading and deceptive conduct practiced while entering into a contract. The researcher highlighted several sections under the Australian Consumer Law such as Section 18, Section 29(b) and Section 33 on the basis of which a business involved in trade and commerce cannot mislead a buyer by making false and fancy claims for inducing the buyer to buy their products. Moreover, it is important for the buyer to read a contract before signing it. Unless the buyer suffers any disability or cannot understand the meaning of the contract or confuses the contract with some other document; can claim for termination of the contract. But in this case as the buyer has been misled by the salesperson at Entertainment Imports Ltd, hence he can claim for termination of contract and damages to be compensated on the grounds of breach of contract. Cherednychenko, O. (2006). Fundamental Rights and Contract Law. European Review of Contract Law, 2(4). Gibson, A. and Fraser, D. (2001). Commercial law. Frenchs Forest, N.S.W. : Pearson Education Australia. Lindsay, G. (2004). Contract. Pyrmont, N.S.W. : Lawbook Co.
Review of Section 2D of the Trade Practices Act 1974. (2002). Melbourne: Productivity Commission. Wright, D. (2006). Remedies under the Trade Practices Act. South Melbourne, Victoria: Oxford University Press.